The Deering family, originally of South Paris, Maine, built what became one of the largest corporations in the United States, the International Harvester Company. William Deering and his sons, Charles and James, incorporated their original company in 1883 in Illinois but its reach was ultimately global in the industrialization of agriculture. The Deering brothers became known for their gilded age lifestyle of world travel and opulent homes, but also for their philanthropic support of schools and hospitals, within the Chicago area, abroad, and in Miami where they made their winter homes. Charles’ children would continue that legacy with important gifts to The Art Institute of Chicago and Northwestern University. Charles Deering in his lifetime directed extensive work on the genealogy of the Deering family, held in the archives of the New England Historic Genealogical Society. His wife Marion’s family is also extensively documented by the Daughters of the American Revolution. 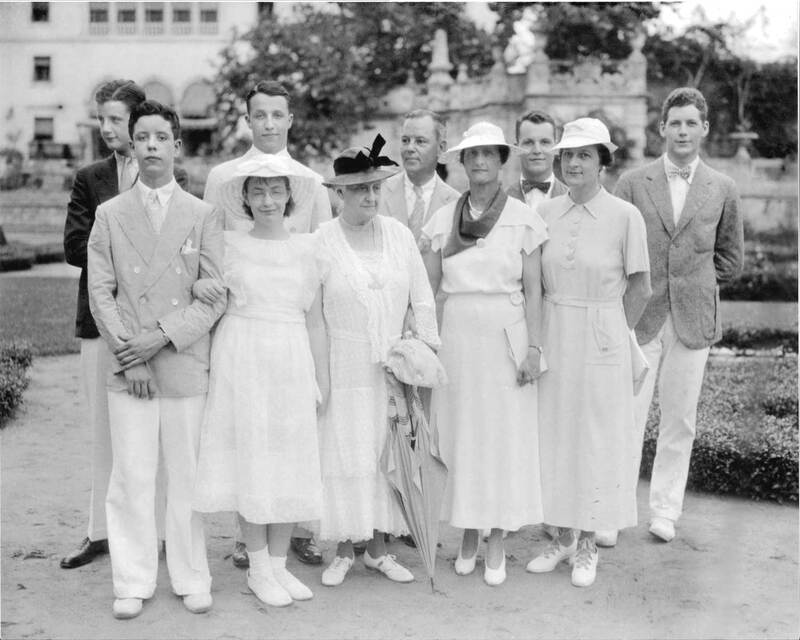 Today, the Charles Deering Estate and James’ Villa Vizcaya stand as lasting testaments to the family’s mark in South Florida.